As we remember and offer tribute to a life well lived. He (Hugh) seemed to have breezed through time, in our hearts and in our lives. But as we walked with him – “didn’t our hearts burn within us” wasn’t it a gentle, fresh and cool breeze? After his sojourn from central to the eastern regions of Jamaica, he asked his companions “Who do people say the son of Hubert is? … a fellow student at Munro and member of Inter School Christian Fellowship who exemplified such great Christian virtues and leadership ability that it was no surprise when he rose to the position of ISCF president, Head Cadet and Head boy of The Munro College. … a fellow camper and attendee at ISCF Discipleship Camps and Leadership Conferences. A tall, dark, handsome, Christian man (and prospect), who had the admiration of the ‘all-island teenagers. Their interest further peaked as he would introduce himself and spoke of his hobbies as NOT the typical love of music and sports but rather collecting newspapers. … one who had an inquisitive mind, who would spend long nights at camp talking about scripture and politics and philosophy and girls and leadership and girls. 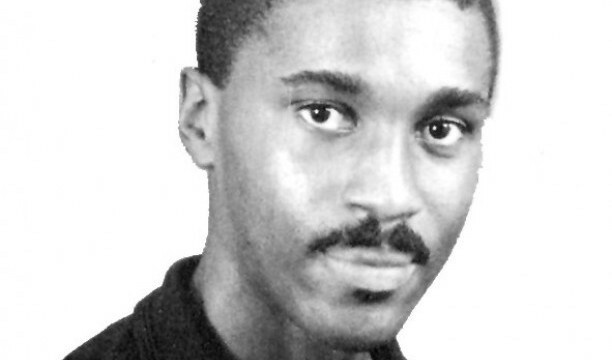 … one of the few male students who managed to not only remain a Christian on UWI CAMPUS but in his own unique way; burn the candle bright, salt up the pot, yeast up the dough in a morally and intellectually confused testicular dominant setting – Chancellor Hall. He would introduce another way that Christian manhood could be defined – through friendship, service, and sport evangelism, high scholarly achievement, moral fortitude and quiet love and devotion for all – an example of true Christian virtues. … the Missions man, one with a local and regional outlook and associated himself with those of similar focus – so at UWI he became involved in UWI UCCF Missions, attended Missions conferences, was a member of the UWI UCCF Committee and to make an even greater impact he served as the Chairman of the UCCF National Executive. How did he manage to get representatives from almost ALL campuses in Jamaica to a general meeting in Kingston? Or bus loads of students to an AGM in Nutshell Trelawny? – the secret - he kept in touch with all the campuses/Presidents right throughout the year, finding out how they were doing and how they were going to get to the events – I believed many came just for him. … an outstanding leader who understood the value of continuity and passing on the heritage - he continued to help and support the Camp Ministry and Discipleship Training, he became a resource person to UWI UCCF after graduating and commencing Postgraduate studies, he became an ex-officio member to many National Executive committees – sharing the rich legacy with us. … not just a Board member, but an invaluable resource person who was intimate with all aspects of the movement and used this knowledge and experience to bring an end to many long deliberations with a soft thought-provoking point or question. He attended Board meetings and retreats regularly and even when we knew he was ill and unable to attend, he would send his apologies, he would make an effort to attend and bring his nuts, grains or juice or he would leave early, or call to find out what took place at the meetings. He would send very lengthy and detailed emails on his health condition, seeking to bring his usual scientific understanding to his condition, but the emails would be laced with his spiritual conviction and firm faith in God to heal and encouragement for us to keep trusting the God he knew and loved. … a volunteer – one who would volunteer or be ‘volunteered’ to address a problematic issue on a campus or to serve on a sub-committee of the Board. He served as board liaison to the Planning Committee of the Regional Tertiary Students Conference held in Jamaica in 2002 at his beloved Munro College. His unique ability as a man to multi-task was obvious (at least to Leighton) as he brought along young Shannon and managed to attend to her and yet participate fully in the meetings. … the consummate servant leader who did not think any task was too menial but willingly served in any position with diligence and enthusiasm - bringing to mind his fellow Munrovian Dr Alfred Sangster. He would take the minutes in the absence of the secretary, he would serve the snacks or without prior notice, conduct a 3-minute devotion which was more like an inductive bible study – we would be exposed to such deep spiritual truths. … defied the stereotype of a Christian young man - In a society where we are told that being masculine means being rough and crude He was gentle, thoughtful, considerate and committed to his family. He loved his wife Nellie and his two girls. He was an active intellectual, with an insatiable curiosity and desire for knowledge and delighted in scientific knowledge. His interests were so wide. Almost every encounter with Hugh led to discovering another area of interest - whether it was bird watching, unearthing a plant’s DNA or recently discovering an interest in reggae of the 60’s. Always trying to get to the core and central truth about life he said …. But what about you? Who do you say I am? The greatest truth to be revealed …. … A child of God with a faith firmly grounded in the word of God and the awesome power of the Holy Spirit. One who taught us how to live and how to die – for him to live was Christ and to have died is gain – taking hold of that which took hold of him – the prize of the high calling of God in Christ Jesus. Today we honour the memory of HUGH EARL LOUNGES and celebrate his rich legacy with a perpetual award to be given to a student who epitomizes student leadership . Passions: Hugh had a passion for assisting persons to understand the Bible and how they could practically apply it to their lives. He lived to see persons develop their true potential in the Lord. © 2019 Students Christian Fellowship & Scripture Union. All Rights Reserved.